Sydney sprawls over one of the most beautiful natural harbours in the world. With hundreds of kilometres of coastal walks and over 70 sandy beaches framed by the endless expanse of the Pacific Ocean, Sydney is the perfect spot for whale watching. The whale watching season in Sydney lasts from late May to early November and during this time, thousands of Humpback whales cruise past the city on their epic migration. I have been whale watching in Sydney for a number of years, starting with university ecology field trips. Over the years, I have tried and tested most of the whale watching spots along the coast and the majority of whale watching cruises. Here, is the guide to the best whale watching in Sydney based on my experience. Each year more than 30,000 Humpback whales cruise past Sydney on their 10,000-kilometer migration between their feeding grounds in Antarctica and their breeding grounds in the warm tropical waters of the Great Barrier Reef. Between May and August, Humpbacks make their way to the tropical waters and between August and November, they travel back to Antarctica. So anytime between late May and early November is a good time for whale watching in Sydney. As the whales cruise along, they put on quite a show. 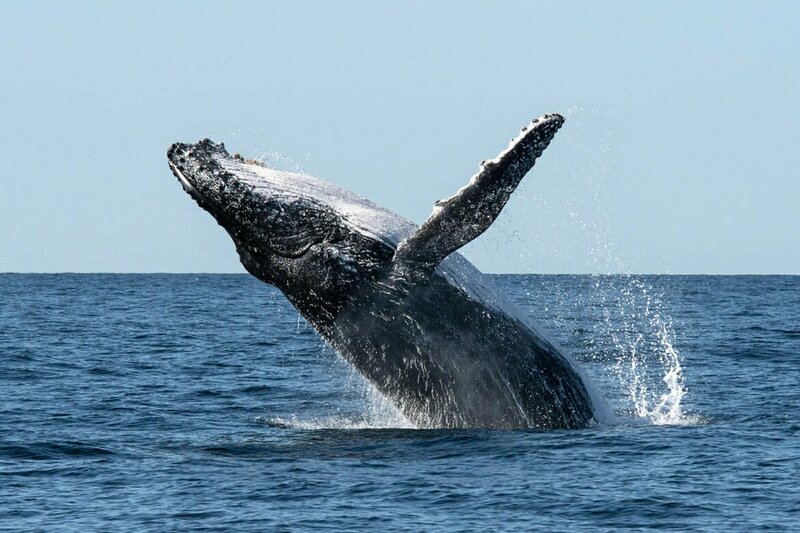 Humpbacks are often referred to as the acrobats of the ocean because they engage in a number of behaviours that can be observed above the surface. There are a number of tricks up their sleeves. The most dramatic of humpbacks behaviours is the breach, where the whale launches itself into the air, often becoming completely airborne. The experts are still uncertain what causes a 40-tonne whale to leap out of the water, though there are a number of theories attempting to explain this behaviour. The most widely accepted theory is that a breach is a form of communication. And considering the amount of disturbance a breach causes underwater, it seems like an effective way to get your message across. Another theory is that whales breach to dislodge parasites from their skin, or even to shed some of the excess blubber that the whales put on during their summer-long feeding buffet in Antarctica. Whales are curious animals and occasionally they pop their head out of the water to have a look at what’s happening on the surface. Interestingly, during spy hopping, whales don’t use their tail flukes to stay upright. Instead, they use their pectoral fins to tread water, much like humans do. Quite often humpbacks lift their giant pectoral fins out of the water and then forcefully slap them on the surface. Other times they may lift their tails to slap them on the water in the same way. Humpbacks are highly social animals and the experts believe that pec slapping can be used as a flirting technique by female humpbacks. The amorously-inclined females also release a scent, which together with the sound of the pectoral slap sends a message to the nearby males that she is ready for some attention. On the southern migration, when the females are leading their young calves on their first journey to Antarctica, the mothers teach pectoral slapping to their young. The fluke slap is thought to be used as a method of acoustic communication as well. After every few breaths at the surface, humpbacks take a dive for four to eight minutes. And as the whale goes into a dive it often lifts its tail fluke out of the water. Scientists often use the unique patterns of scars and barnacles on the whales’ flukes to identify individual animals. Another thing humpbacks like to do is to roll around just below the surface. When they do that, their pectoral fins and tail flukes rise above the surface. So what are the best locations in Sydney for whale watching? There are a number of vantage points along the coast, many of them lie along spectacular coastal walks. 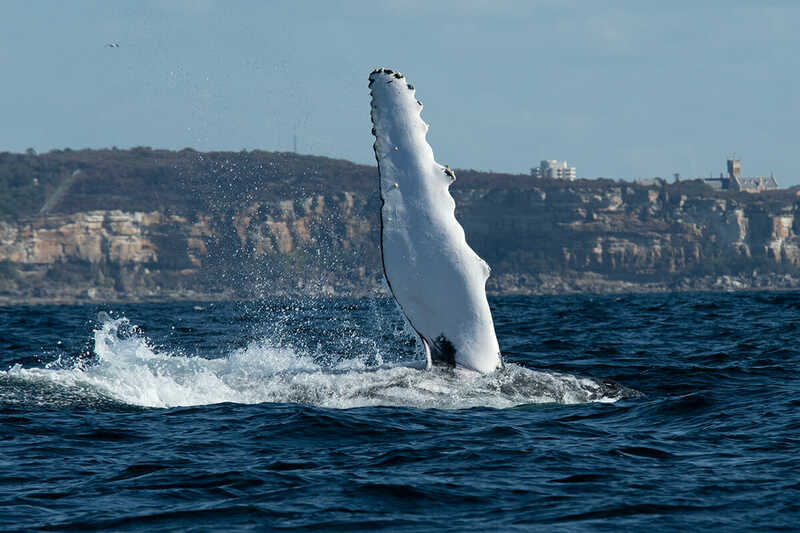 Below are some of the most popular locations, and you can find the full list of vantage points in Sydney on wild about whales website. You can even download an app to your phone to be up-to-date on the latest whale sightings. My all-time favourite coastal walk in Sydney is Bundeena to Marley beach track. It follows the dramatic cliffs of the Illawarra coastline and provides endless opportunities for spotting whales. Another good spot is the lookout at Wattamolla. Whichever spot you choose, spend some time scanning the ocean for the whales’ blow and you will be surprised how close they come to the shore. Located within the Kamay Botany Bay National Park, Cape Solander is probably the most popular whale-watching spot in Sydney. This is where Sydney’s official whale watching count takes place each year. There are information boards at the lookout with all kinds of information on humpback whales and their migration. If you prefer to watch for whales on the go, take the cliff top track to Cape Bailey Lighthouse. The North Head is one of the headlands that mark the boundary between Sydney harbour and the open ocean (the other headland is, unsurprisingly, the South Head). It towers 80 meters above the ocean and you can see the whales coming for miles. 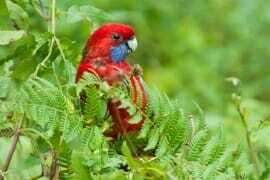 Lying within the North Head Sanctuary, the Fairfax lookout can be reached by the short and easy Fairfax walk through coastal shrubland. The views from the top sweep over the dramatic bluff of the South Head and the endless expanse of the ocean. About 50 kilometres further north, Barrenjoey Headland in Kur-rin-gai Chase National Park is home to the northern beaches’ most famous landmark – the Barrenjoey lighthouse. The walk to the lighthouse along the Smugglers track is a little steep, but once you reach the top, the sweeping views over Palm beach, Central Coast and the Pacific Ocean are more than worth it. Lying opposite the North Head, the South Head is the second sentinel guarding the entrance to Sydney Harbor. 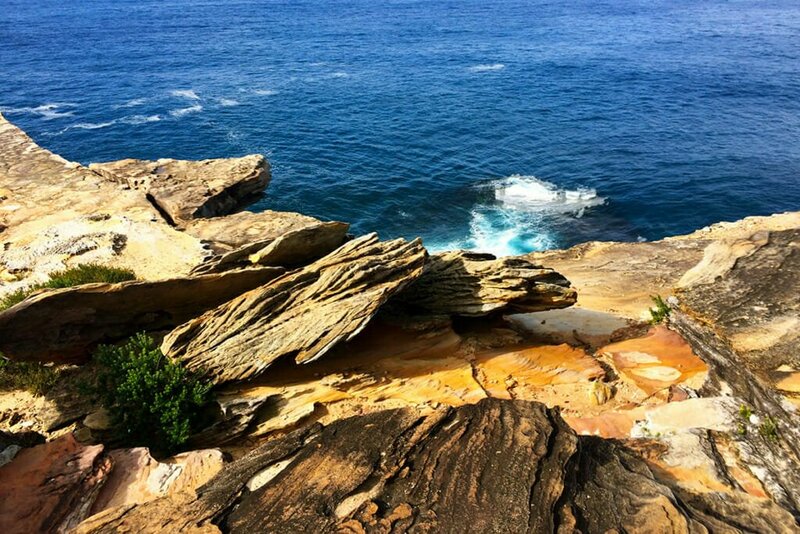 The headland can be explored along a well-used footpath from Watson Bay. The best whale watching spot on the headland is the Gap Bluff – the rocky bluff with panoramic views of the North Head, northern coastline and even the city. While it is great fun to spot whales from the coast, nothing compares to watching a 40-ton animal jump out of the water within a few meters from you. 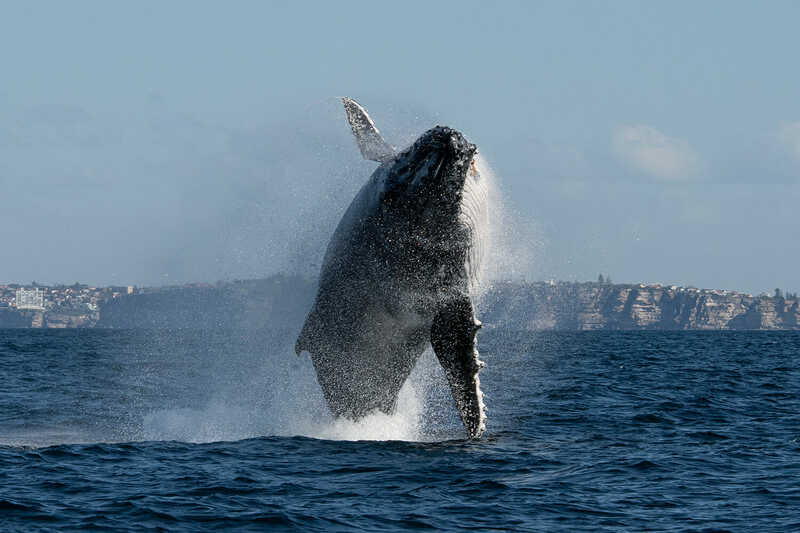 This is why whale watching cruises are one of Sydney’s most popular tourist activities. The best time to go whale watching in Sydney is during the southern migration when females return to Antarctica with their young calves. If you are lucky, you may witness a mother teaching her calf to breach. The lesson usually consists of a few breaches by the mother followed by a series of breaches by the practicing calf. There are a number of companies that offer whale watching cruises in Sydney. Most cruises depart from either the Circular Quay or from Darling Harbor. I personally prefer the smaller boats, like those operated by Go Whale watching. The smaller boats generally put you closer to the surface of the water, which is the best position for watching whales. Another interesting operator is the Ocean Extreme. They offer whale watching cruises in the fast inflatable boats, which are small and sit very low in the water. In the big boat world, there are Captain Cook Cruises, Fantasea Cruising, Whale Watching Sydney and Oz Whale Watching. The Fantasea cruises provide a unique opportunity to hear whales underwater – they have a hydrophone on board. If you feel like a splurge, there is an opportunity to cruise aboard a sailboat with Australian Spirit Sailing (http://www.austspiritsailingco.com.au). You can also take a whale watching cruise from Manly, north of the city. 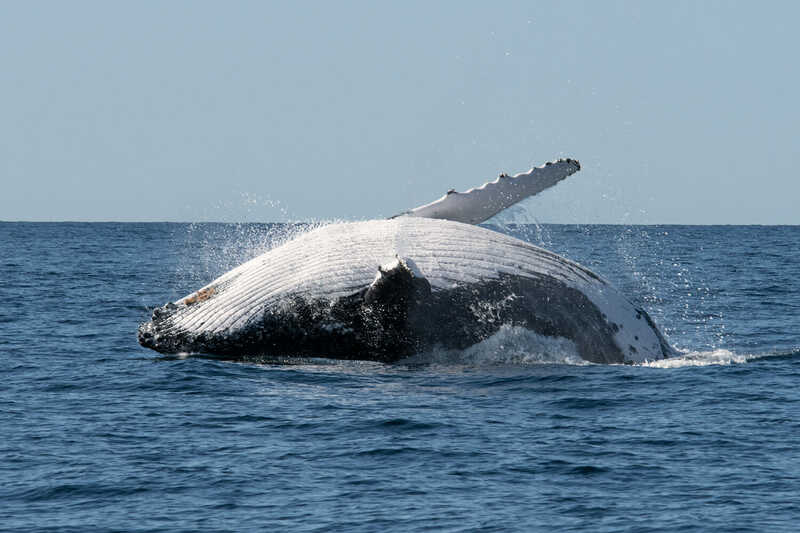 There are two tour operators that offer similar cruises: Manly Whale Watching (www.manlywhalewatching.com) and Manly Ocean Adventures (www.manlyoceanadventures.com.au). Another location where you can board a whale watching cruise is Rose Bay, east of the city center. Get on a Boat offer 4-hour cruises that include a warm lunch. For the serious enthusiasts, there is something else entirely. 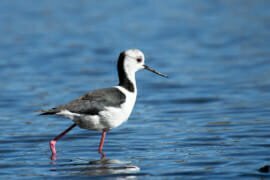 Also departing from Rose Bay, Sydney Pelagic & Nature Watching Tours (www.sydneypelagics.info) offer full-day adventures to Brown’s mountain – an underwater mound 15 nautical miles off Sydney coast. 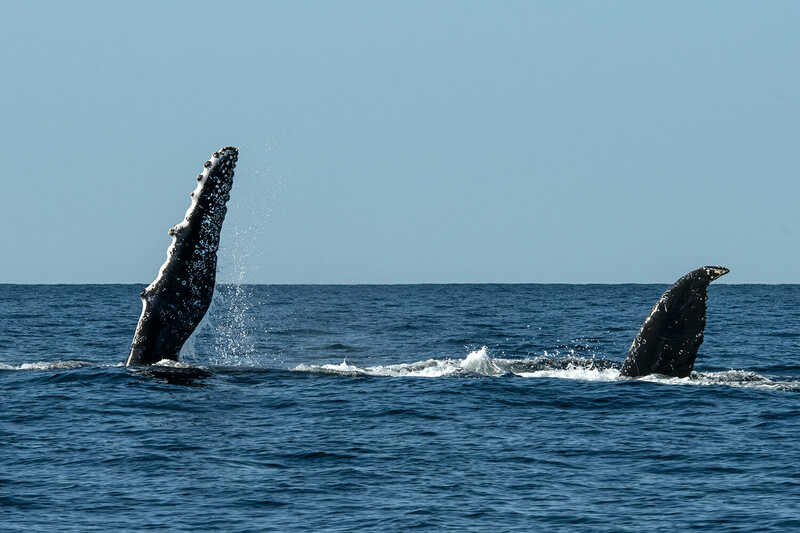 These tours don’t concentrate on the migrating humpbacks but head out further into the open ocean where it is possible to see different species of whales. I have seen Dwarf Minke whales & False killer whales on these pelagic trips as well as Common and Bottlenose dolphins and Sea lions, not to mention a number of species of Albatross and other pelagic birds. 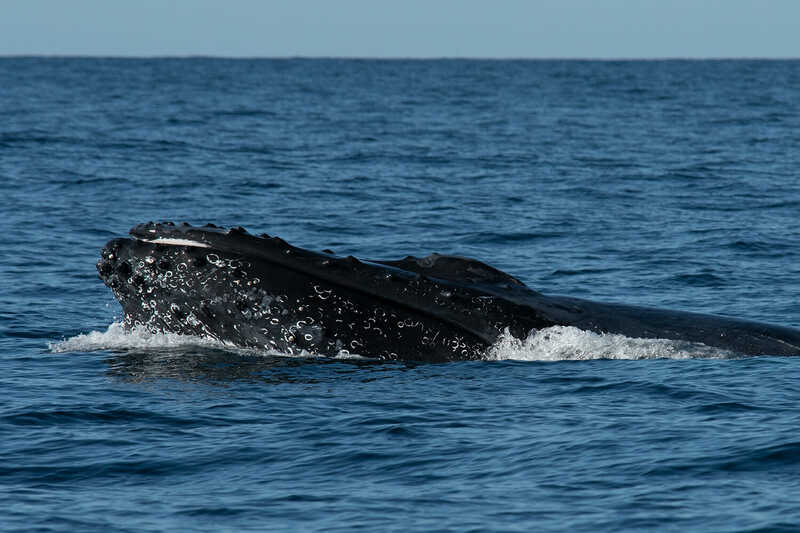 Sydney, of course, is not the only place in Australia to see Humpbacks in Australia. 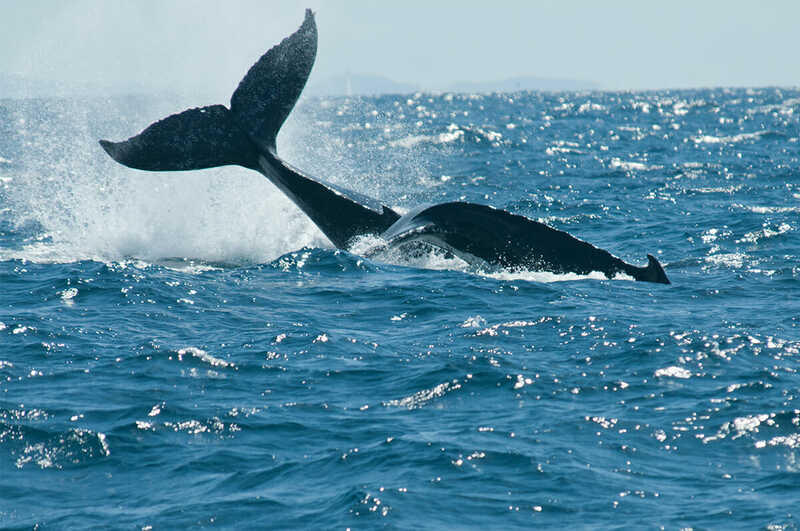 In Queensland, Hervey Bay whale watching is considered one of the finest wildlife experiences in the country. Many of the tour operators often offer good deals on the whale watching cruises. 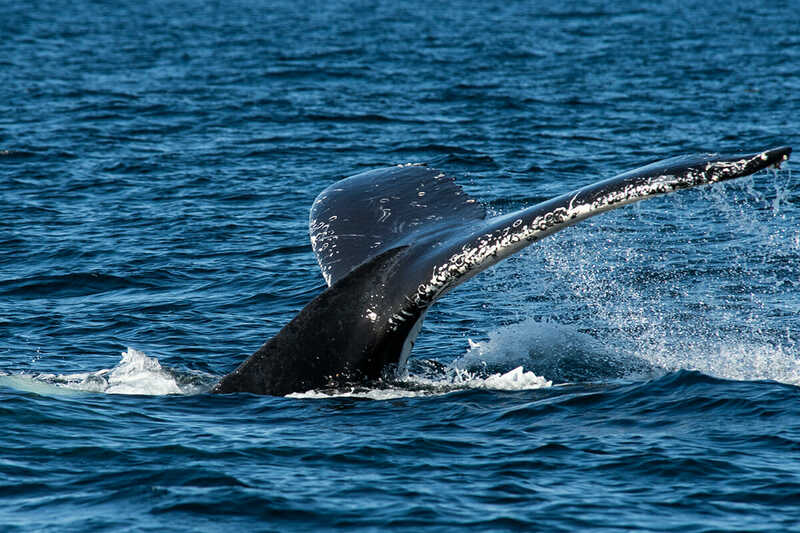 Go Whale Watching, for example, often has a 50% off deal for bookings made via their website. Another good source of deals for whale watching cruises in Groupon. There are always a few options available during the humpback migration. Another thing to keep in mind is that if you would like to take more than one cruise with the same company, and I recommend you do that to see a wide range of whales’ behaviour, check with them for the best deal they offer to the returning customers. There is nothing worse than getting seasick and missing all the action. If you suffer from seasickness, don’t forget to take the tablets, like Travacalm before you board the cruise. Also, follow the advice of the fellow Sydney blogger Lyn Lindfield at The Travelling Linfields and check the sea conditions, including wind speed and wave height prior to heading out to see. While Sydney winters can be surprisingly warm and sunny, it is usually quite windy out in the open ocean, so it is best to bring a warm jacket on a cruise with you. Especially if you prefer sitting at the front of the boat. While you pull on your winter woollies, don’t forget to put some sunscreen on your face. It may not feel like it when you are on board, but a few hours’ of exposure to the blazing Australian sun can be quite unkind to your skin. For a truly ‘once in a lifetime’ experience, consider taking a helicopter flight and watching the whales from above. This is the most amazing way to see the whales, simply because you are able to see the entire animal from the air. For the best deal on the flights, book directly with Blue Sky Helicopters via their website. The one-hour flights start at AUD $500. Wow these whale photos are so stunning! I would be so happy if I captured even just one of these! I’ve lived in Sydney for 18 years now, and have wanted to do this for FOREVER! And haven’t! This just makes me want tot do it more! Beautiful pictures too! I’ve learnt a few whale facts today. Thanks. 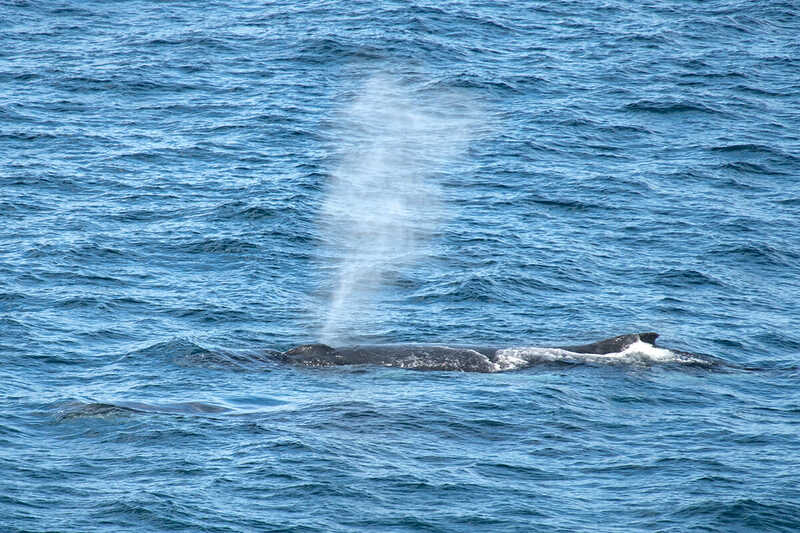 We were lucky enough to see a couple if whales when sailing off Barrenjoey. They weren’t close but one came up to check us out. They are such curious animals, aren’t they? I love it about them. Awww, swimming with them would be absolutely incredible. We had a pod of Killer whales pass Sydney about a month ago. I think they even made it into most of Sydney newspapers. My first experience with whale watching was off the coast of California. You never forget seeing a whale break through the surface for the first time! Loved it so much that I went again in Vancouver, this time to see a pod of killer whales. It was fascinating because even from the boat you could tell that each one had a different personality. Whale watching is an incredible way to experience nature! I know what you mean about different personalities. We once had a pair of juvenile humpbacks and one of them would breach after every dive, while the other one hasn’t breached at all. I would love to see a pod of Killer whales! I am an avid fan of any kind of animal spotting in the wild. We once went all the way to Alaska, partly to see whales. We were disappointed and then within a couple of weeks of returning to Sydney we did a whale watching cruise here which was just fabulous. Between travelling and moving and life kind of getting in the way I haven’t managed a cruise for a couple of years so I am definitely about due. I am going to save this post to refer back to when I manage to find a spare day. As someone who gets terribly seasick can I offer a bit of advice to your readers. There are websites which will tell you the expected wave heights on any given day. Captain Cook Cruises used to have a link to one on their site. It could be still there. Check wind conditions and wave height for the day you intend to go out. It can get very rough outside the heads in Sydney. This is a fantastic idea, thank you, Lyn! I will add a note to the post. Funny enough, I never found out whether I get seasick or not – I tend to take a tablet just in case each time I go out to sea :). I would love to go whale watching in Alaska – I’d like to see them feed.